I was very fortunate to be invited to the Vera Bradley Ultimate Accessory event inside the Mall of Louisiana! I have been a fan of the brand for many years and own a few retired patterns that I still adore! So, I jumped at the opportunity to be introduced to all the new patterns and designs. As always, Vera did not disappoint! As I approached the gorgeous storefront I was enveloped by intoxicating fragrant aromas and visually captivated by vivid displays of colors and patterns! I found myself charmed and enchanted by every detail of the beautiful store! I must say, I'm a real sucker for an opulent shopping experience! The Vera Bradly shop in the Mall of Louisiana offers just that! As I entered the store I couldn't help but run my fingers across the high quality leather bags on display in the entry way! I had no idea that Vera Bradley made leather goods. These gorgeous bags and wallets were smartly designed and functional, but not sacrificing luxury! The leather was supple and perfectly accented with beautiful well placed hardware! I was so impressed to say the least! I was immediately greeted by a bubbly shop assistant and introduced to the store manager, Lisa. Lisa was a real pleasure to chat with. Her passion for the brand and knowledge of its legacy was so evident and genuine. Lisa began showing me around the shop and introducing me to some of the new patterns and styles! 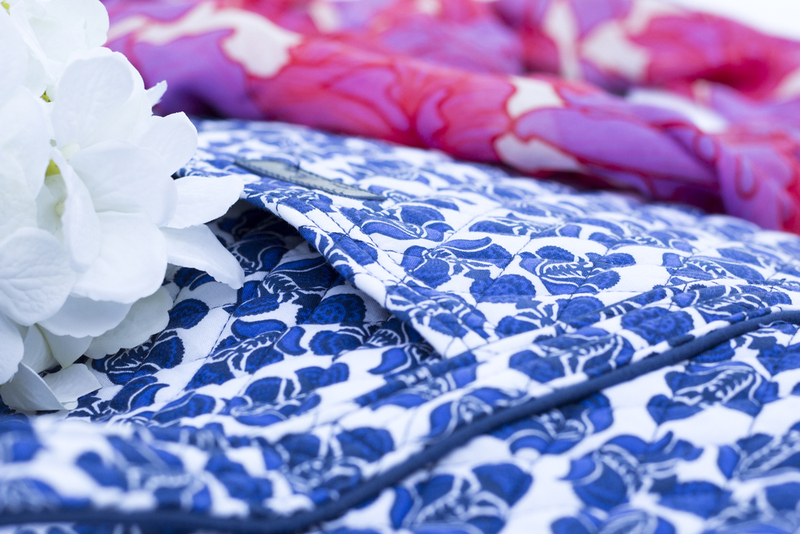 I immediately fell in love with two prints, Paradise Floral Lilac and Cobalt Tile. There were so many prints and styles to choose from! 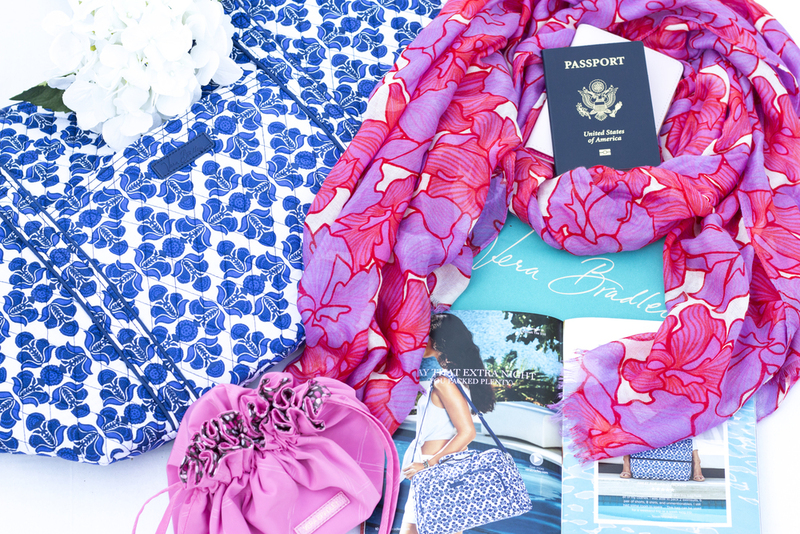 I eventually chose a beautiful scarf in the Paradise Floral Lilac print and a travel bag in the gorgeous Cobalt Blue pattern! I found each pattern to be so personal and visually exciting! As we made our way through the store I was also blown away buy the full range of candles and perfume! Each fragrance had its own unique flair and sophistication while still feeling youthful and fun! Even the packaging was luxurious making them the perfect gift or special treat for yourself! What I loved most about the store was the variety! Every time I turned my head I fell in love with a new item! I can honestly say that I am now hooked on Vera! I have gone to their websites more times than I can count to swoon over those amazing leather bags that I mentioned earlier. Vera Bradley truly has something for everyone in every phase of life! I cannot say enough about the amazing team at Vera Bradley inside the Mall of Louisiana! They made my shopping experience so fun! I would definitely recommend this location to anyone looking for a personalized shopping experience for themselves or a gift! The visual displays alone are enough to brighten up your gloomiest day! The superior customer service is simply icing on the vibrantly patterned cake! I want to say a great big thank you to the team at Vera Bradley for having me at their event! I had such a wonderful time! I hope that you have enjoyed this post! Thank you so much for stopping by the blog! Don't forget to subscribe by clicking the button at the top of the post! Until next time I hope everyone has a wonderful week and a very happy Mother's Day!